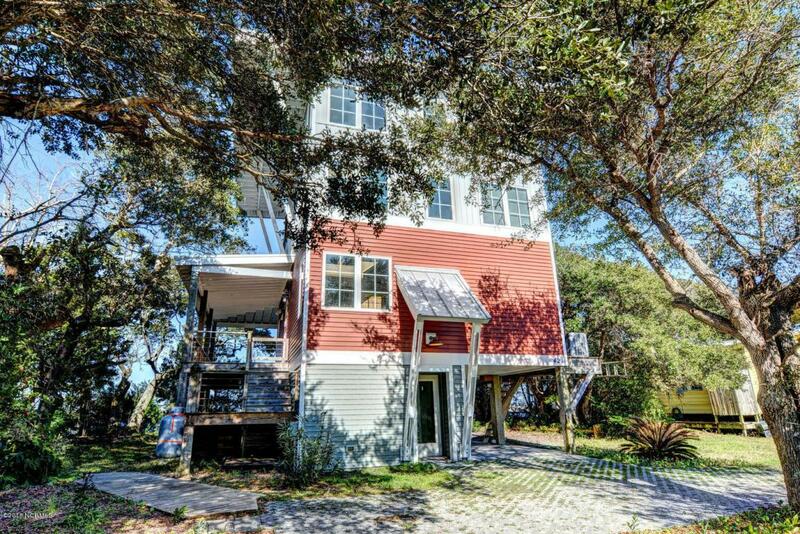 Lots of history in this one of a kind gem that features doors from old buildings in Wilmington. 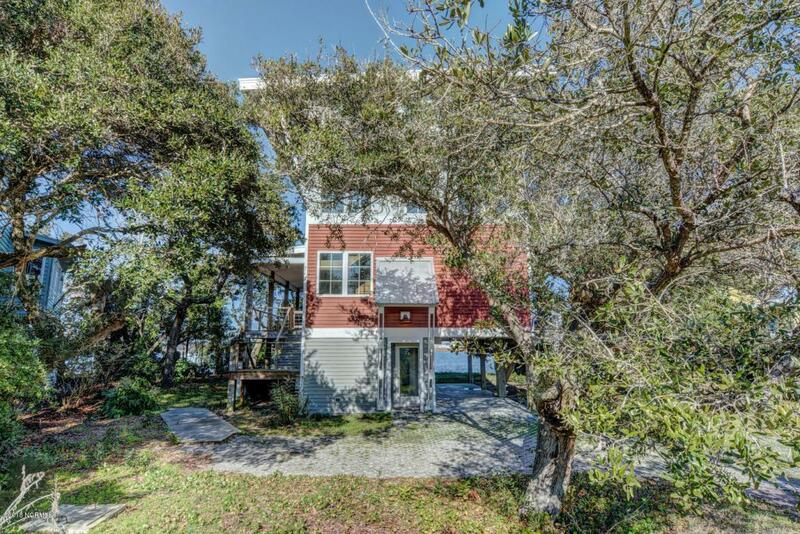 Appropriately named The Live Oak, this gorgeous modern home is situated amongst an abundance of Topsail Island's beloved oak trees, overlooking the sparkling water of the Topsail Sound. 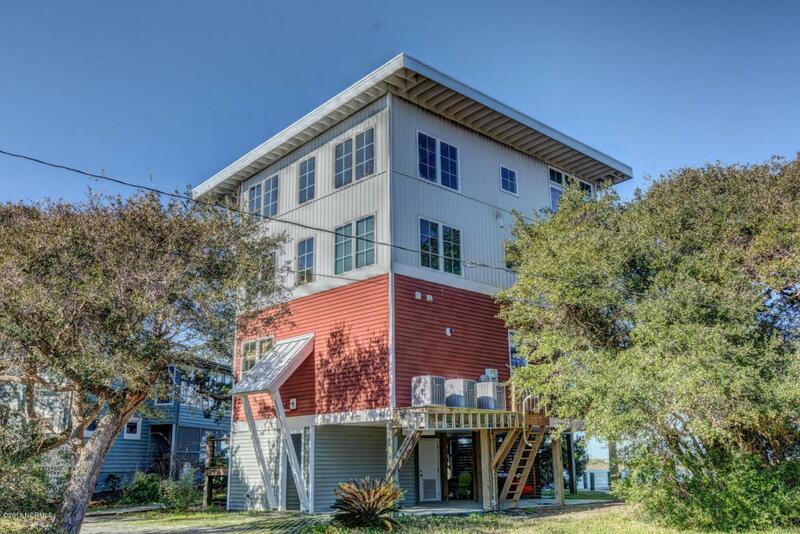 The Live Oak is a unique home that was built a few years ago with serenity in mind. The numerous windows throughout the living areas creatively bring the sound in, and the metal roof enhances its naturistically conforming theme. The interior design of The Live Oak has an eclectic feel through the use of the old doors, sinks, tubs, decorative wood paneling, and furniture. The kitchen offers concrete countertops, stainless steel appliances and plenty of room for entertaining. The open concept of this floor planwill promote active conversation and family togetherness. Swoon over the gorgeous wood floors throughout. 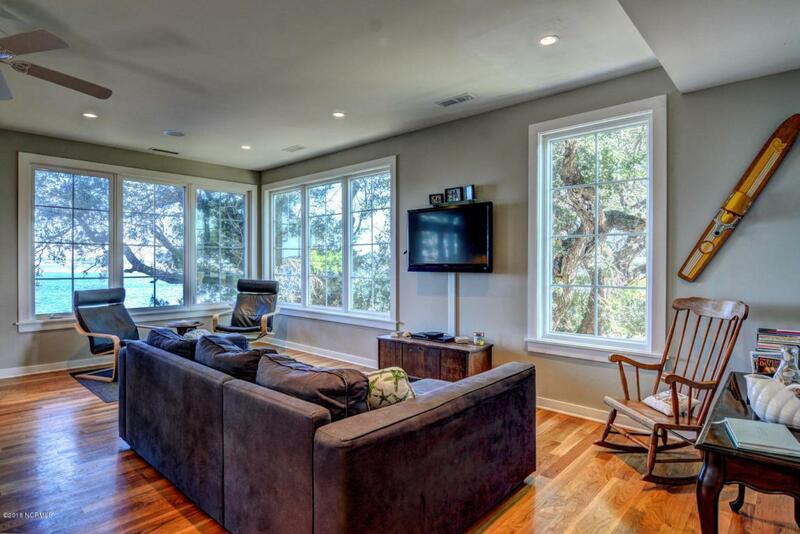 The Live Oak also has many smart characteristics to include, 3 HVAC systems, tankless water heater, and water softener. This home also is equipped with a shaft in the stairwell closets for the easy addition of an elevator. And to ensure your mind and soul stay on vacation, there are three zones of wired speakers. The Live Oak boasts an expansive master suite with breathtaking views of the Topsail Sound, a large master bathroom with a spacious shower, and a private balcony where the views go on for miles. Imagine yourself relaxing on the porch, patio, or dock. You can expect to see plenty of wildlife; one of our favorites to watch are the osprey who nest every spring/summer and then head back to Mexico in the late fall. The dock is perfect for fishing, paddle-boarding, kayaking, swimming or boating. With a public beach access 200 yards from home, this eclectic, hidden gem is quite possibly the best that Topsail Island has to offer.